Bitcoin, in a bid to dominate the online gambling industry in 2017 - Casino Inside - The gambling industry magazine! Even if prior to 2016 the virtual coin called bitcoin was starting to be used more and more often in online gambling, as some sites were already offering payment exclusively in this coin, the year 2017 is announced to be the year in which the online gambling industry will adopt bitcoin en masse. In other words, if the virtual coin was considered an option up until now, from this year on it could become a sine qua non condition for online operators. Among the famous names in online gambling that adopted Bitcoin for deposits and withdrawals we can mention 5dimes and Bodog, even though the number of sites that adopt it is on an ascending path. Transactions using bitcoin have the main advantage of avoiding the double conversion of the currency, but the most important characteristics are the high speed of transactions and the anonymity it ensured, according to the founder of Bitcoin Embassy, Alex Sudadze. On sites that use bitcoin, players are not asked for personal details, and most of the times only a username and password are required for creating an account. Moreover, this crypto-currency can also be used by residents of countries in which gambling is prohibited by law, but also as an alternative coin where financial systems often fall to operate. 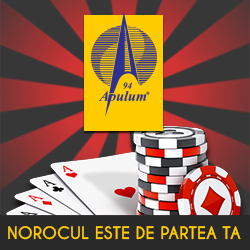 We also have to mention the fact that in the case of casinos operating with bitcoin there is no interference from governments, which means that players can put more trust in the gaming technologies they employ – which undergo an audit process with a program called Provably Fair (making sure that the game is based on mathematical algorithms and thus make it impossible for players or operators to cheat regarding the results). Last but not least, access for pay can be made for any corner of the world, and the costs per transaction are infinitesimally small, in the case there are any imposed – most of the times no costs are applied. For examples, some users can make up to 20.000 transactions over many years and end up paying a total cost of $30. Nevertheless, Bitcoin is not just a coin, but mainly a blockchain technology (through which transactions are publicly registered in a chronological order) used to transfer both money and information. Well, this blockchain system offers additional advantages such as decentralization (payments made by a central system are not monitored), as well as the possibility to have the transaction confirmed from thousands of computers – the transaction is instantly visible for all the interested parties, that is why you will never be asked to bring proof for a payment using Bitcoin. Considering the above, it does not come as a surprise that this virtual currency seems to engulf the entire online gambling industry. Moreover, the estimates in the industry reveal that 50%-60% of the bitcoin transactions are made in online gambling. This fraction will increase considerably, part due to the fact that operators can thus avoid restrictive regulations that have consistently limited their operations – in some countries, for certain types of transactions. At the end of 2016, 20% of the online casino operators were using Bitcoin. Another advantage is the fact that this virtual currency allows micro-transactions to bemade, as a bitcoin can be divided in countless parts. Traditional payment systems did not allow very small divisions to be operated, according to Johnny Mayo from Forbes Asia 30 under 30, speaking at ASEAN Gaming Summit 2017. According to him, countries like Philippine and Malaysia are just beginning to discover Bitcoin transactions. Meanwhile in other countries, transactions in Bitcoin are already regulated by the state. In the case of Great Britain, licenses are issued and allowed for operators using virtual currencies, on the condition that they provide insurances to the Gambling Commission regarding the respect for regulations regarding money laundering activities and social responsibility. At the same time, there are a few disadvantages regarding the use of Bitcoin and the one mentioned most of the times is connected to the monetary value fluctuations – which can vary from one day to another. In other words, Bitcoin is more similar to a commodity than a currency. Still, many sites offering Bitcoin transactions can function without official regulations or a careful official surveillance – which means that players have less means to make an appeal in case they get in trouble with a certain operator. For these reasons precisely, experts recommend that players carefully chose a site to play and to favor those who own a license issued by a recognized jurisdiction. Last but not least, processing a transaction can last more if large sums of money are involved – but the waiting time still does not surpass a few minutes. On the other side, the European Union issued a warning regarding the fact that Bitcoin can favor money laundering activities. Even if the popularity of this virtual currency is with no doubt on the rise, especially in the online gambling industry, one cannot neglect the negative aspects that accompany it and that are visible on a wider scale. Warnings are surely to be taken into account, and operators should also pay due consideration to the fact that once this currency will be introduced on a wider scale, there will be no turning back to the traditional payment systems, and that is why caution should be the keyword of 2017 in this domain, as this year is announced to be a turning point – in a positive way – for the adoption of Bitcoin in online gambling.